Thanks to a fairly high solar resource (roughly the same as the French Riviera) and great state policies (like SMART), Massachusetts is one of the best residential and commercial solar markets in the country. Solar energy is today the most cost-effective way for homes, businesses, and institutions in Massachusetts to get control over their energy bills and lock in a reliable cost of energy from a proven solution: the sun. Folks from Massachusetts going solar have a few options, but the most popular is a grid-tied solar electric array. Most of the systems we design will meet close to 100% of a home’s needs in a given year. In the summer, you will tend to produce more power than you need and you will earn a credit. In the winter, you will tend to need more power than you produce and so you’ll consume those solar credits. At the end of the year, you should be at or close to zero credits in the solar bank, a situation we call ‘net zero’ (not to be confused with ‘off-grid,’ which means not using the utility grid at all!). And another thing about the winter; our climate may be cold, but cold is actually good for solar panels. In the brisk but sunny fall and spring, solar panels in Massachusetts will produce a disproportionately high amount of power, helping to make up for any power loss due to solar panels being covered in snow. As mentioned above, by installing solar panels you can essentially lock in a low electricity rate for years to come, with a very favorable ROI. Commercial solar power is not just for large businesses though; installation prices have dropped by over 50% since 2012, and small businesses can easily attain solar installations that create significant savings. 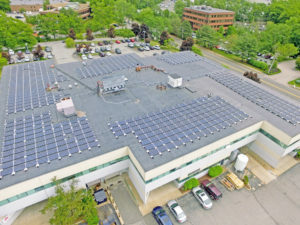 Commercial solar power allows your business to generate clean electricity on its rooftop (or land) at a very predictable cost-per-kilowatt-hour that is generally less than currently paid to the utility. When the sun is out, the panels make power. When the sun goes down, your business consumes electricity from the grid. Grid consumption versus production is reconciled monthly and credits carry forward up to a year. What About SRECs? What is SMART? You may have heard about a type of solar credit called SRECs. 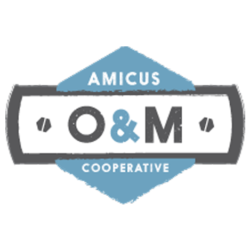 SMART is the latest evolution of this program — it’s 2 years in the making and replaces Massachusetts’s Solar Renewable Energy Certificate (SRECs) program, which was more than a little complicated. Under SREC, Solar Champions only received payment once a year, or quarterly (monthly was possible if they were willing to sacrifice a fraction of their SRECs through a couple of different means). In the new SMART solar program, you receive a check from the utility based on a fixed $$$ number paid per kilowatt-hour of solar generated, multiplied by your actual solar generation EVERY month, for 10 years. If you have solar for your business it’s 20 years! For more info, head to our blog post about the SMART solar program. 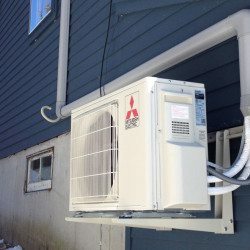 Solar-powered heat pumps extract heat from the outside air even at very low temperatures (-17°F) and move this heat into your home through a reverse refrigeration cycle (imagine if you took a window air conditioner and flipped it around). 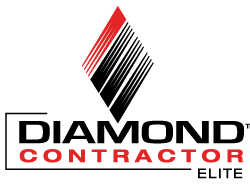 Because they extract heat from the air rather than directly heating indoor air, they operate 2-3x more efficiently than electric baseboard heaters. In the summertime, the system runs in reverse, extracting heat from your home and moving it outside, cooling your home at a rate 2x more efficient than window air conditioners. The result? A heating system that can run on sunshine for the equivalent of $0.75/gallon for heating oil! Here’s an example breakdown of a standard rooftop mount 7.7kw solar electric array (24 panels). This system will produce around 9,600 kilowatt-hours of electricity per year, enough to meet 100% of the needs of many homes. Say you pay 22 cents per kilowatt-hour now for electricity, by saving you $2,112/yr + SMART benefits ~$1,000/yr for the first 10 years, the system will have paid for its installation cost in roughly 5 years and will continue producing free power for the next 20+ years. Solar power equipment is warrantied for 25 years, and we expect it to last for more like 40+ years. What about SMART Program Credits? 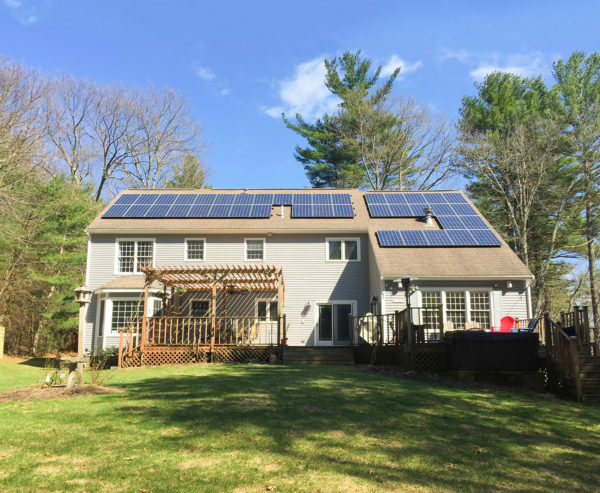 In addition to saving money on your utility bill with the energy produced from your solar array, you will also receive Solar Massachusetts Renewable Target (SMART) Program Credits. As part of your installation, ReVision Energy will install a revenue grade meter to provide a verifiable measurement of production for the solar array and set you up with the information you need to register with the State’s self-reporting system. This system will enable you to verify and report your solar array’s production to the New England Power Generation Information System (NEPOOL-GIS). The SMART Credits are locked in for 10 years! Fill out this form below, or continue exploring our website.